Let’s define SEO (search engine optimization). In plain English, it is the process of making your website more visible to your customers in search engines. If your website can show up on the first page of Google’s search results then you have a higher chance that your potential customers will find your website. In order to optimize your website we have to understand what factors impact your website’s visibility. Over the past couple of years it has become very important to keep up to date with Google’s search engine updates. Their constantly changing algorithms have caused some website owners to worry about their rankings in search engines. However, Google maintains some consistent rules that every website should adhere to and if you stick to these fundamentals, you should see improved results. Any good strategy to improve SEO will involve the following four factors: the technical structure of your website, quality content, quality back links and some kind of social media integration. The technical structure of your website means that the website must be coded to W3C standards and from an SEO point of view, it must have H1 and H2 tags, alt tags on images, focus keywords and meta tag descriptions and more. 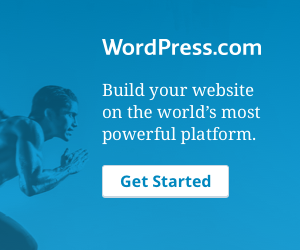 I won’t go into detail here, but if you are using WordPress as your blog or CMS then using Yoast’s WordPress SEO plugin will help you write better articles and adhere to SEO standards. The bottom line is, any web page you create should have a unique description, title, images with alt tags and meta description which accurately describes that page. When it comes to SEO I have heard that “Content is King”. This is true; however, to be more accurate unique quality content that is readable to your user is King. Before Google introduced their Panda algorithms, people could create content stuffed with keywords. These keywords would help people find your content. After Panda was introduced, Google’s algorithms started to filter out all the spam and concentrate on content that was readable by people. So when you write an article online, always keep in mind your audience first. Write for them and then consider optimizing for SEO. As a rule of thumb, consider writing articles that are 300 words or more. Best would be to write around 500 words or more. What is a back link? A back link is another website linking back to one of your articles or to your website. In the early days of SEO, websites that had the most websites linking to them would rank at the top of search engine. The only problem with this method of ranking websites was that it benefited people that had the most money to buy links and it benefited link farms. This meant, searching the web would not always result in what you were looking for. After Google introduced their Penguin algorithms things changed. Websites that had hundreds of poor links pointing to them were penalized, link farms were no longer ranking high. Essentially, Google filtered out a lot of spam. So the question is, how do you create quality links today? The first step is to create quality content, then you search for quality websites that rank high in Google’s search results. The next step is to approach these websites and look for ways to submit your article or website to them. Any website you approach should have similar content to what you maintain on your current website. Building links with low ranking websites or website that have content that is different from yours will not help much. You can also look for forums and blogs where you can post your articles. Lastly, consider writing an ezine and linking it back to your website. Building links can also be done through social media networks. But why is it important to use social media today? It has become apparent that Google is placing more emphasis on social media than it has in the past. Building a Google + page and integrating it with your website is an important step in improving your SEO. Additionally, if you can create content that can go viral then social media is the best medium to share that content and have other people on the web continually build links back to your website. When creating a page, it is important to have social media share buttons on it. This way, you make it more convenient for anyone on the web to share your content with other people. If you are using WordPress then there are many plugins that allow you to integrate social media sharing buttons. 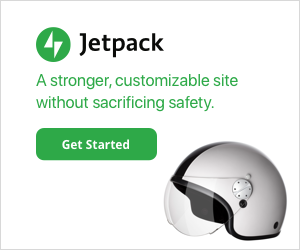 Perhaps the best plugin to use is Jetpack by WordPress. Not only does it have sharing features, but it comes with many other features that will benefit your website. To summarize, the basic areas to look into when working on SEO are: the technical aspects of your page, quality content, quality back links and social media integration. If you can adhere to these fundamentals and create engaging content for your audience then you are one step ahead of Google’s SEO updates. To learn more about Google’s SEO guidelines, click here for Google’s SEO Starter guide. Mice post. Yes these are the four seo factor. If you don’t mind can you suggest some tips to get quality backlinks? Like now a days there is no use of directory, forum etc. Can you give some good tips?